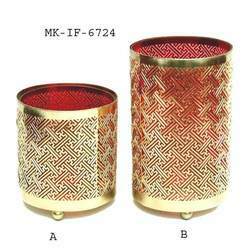 Leading Exporter of hurricane candle holder from Moradabad. MS Hurricane Candle Holder Glass Inserted. Looking for Metal Hooks ?